Product Hunt, the community based around finding the best new products, has announced today that it’s rolling out a number of new features as well as having raised $6.1 Million in funding, led by Andreessen Horowitz. The service will soon let its users follow each other and get notifications when someone they respect posts a new product to the site. Additionally, user profiles have been redesigned to include more information and highlight products built by those people. Product Hunt, which launched in late 2013, only recently announced an iOS app as well as its $1 million seed round just last month. The team is now at nine members and is spread across five timezones and three continents. Last month, Ryan Hoover, CEO of Product Hunt told us that the company has gathered 51,000 active subscribers on its email newsletter, 250,000 unique viewers and 1.7 million clicks a month. 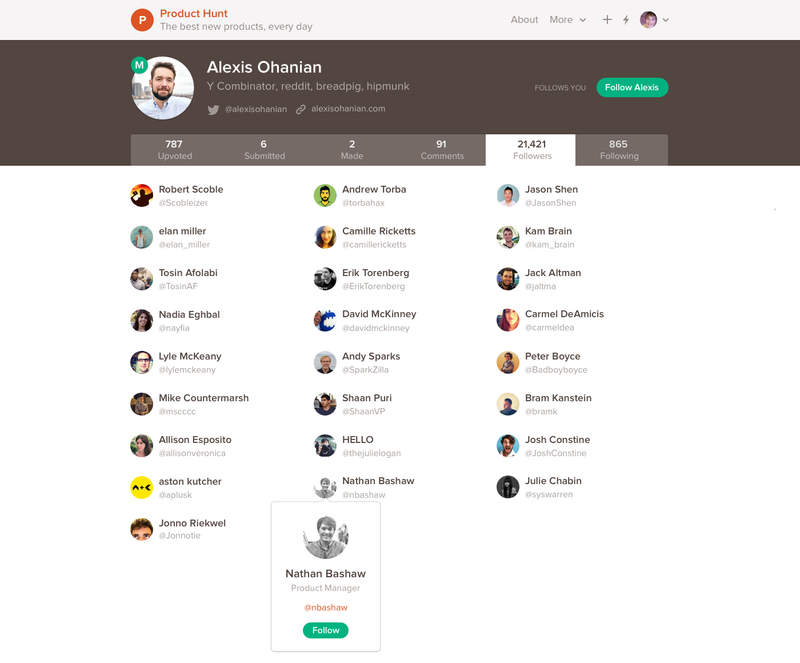 Now, Product Hunt has 75,000 email subscribers and 2 million clicks a month. The latest investment comes from a number of investors including Reddit’s Alexis Ohanian and the company also announced that Steven Sinofsky is joining the board of directors today. Sinofsky was previously President of the Windows division at Microsoft but left in 2012 and now serves as board partner at Andreessen Horowitz. Product Hunt is open for all to visit, but requires an invitation to post comments or products. However members on the site have a limited number of invites for friends.